Add the pineapple, mango, bananas, yogurt and ice to the blender. Add 1 cup of the coconut milk. Blend until smooth. Add more milk, 1/4 cup at a time, until the shake is of desired consistency. Sugar or honey can be added; however, I suggest preparing this shake with fruit alone so that your kids can get used to and appreciate the natural sweetness and flavors of fresh fruit. If you're looking for a wholesome way to do breakfast or afterschool snacks, making shakes at home is a great option. Shakes can be blended together in a matter of minutes, and they’re an energizing way to start the day. 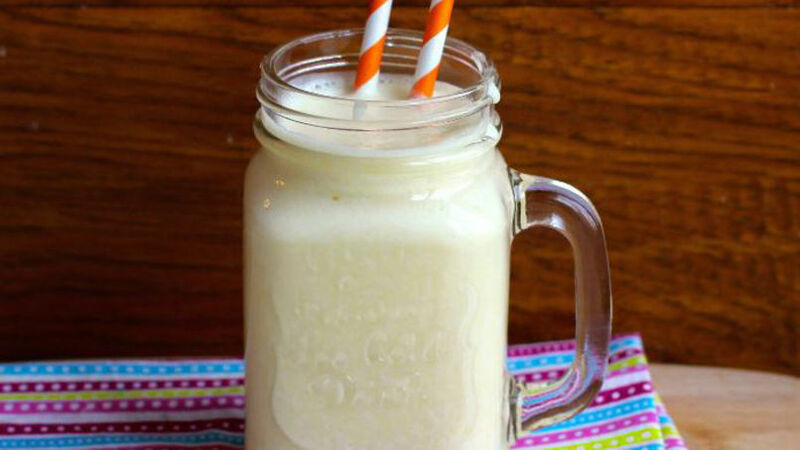 This tropical fruit shake is a favorite at my house. It's so good, it doesn’t even need sugar: the combination of fruits is truly smooth and deliciosa.